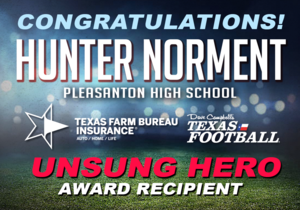 Each year Dave Campbell’s Texas Football honors only five young men with its prestigious Unsung Hero Award. 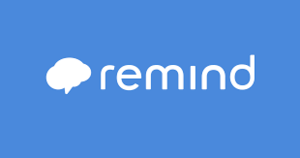 Senior students and parents - sign up to get important reminders from the counseling office. Included is a link to the counseling webpage with important senior college readiness information. 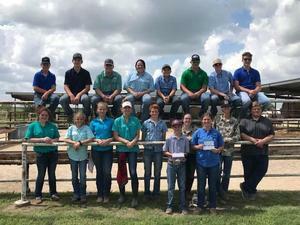 Pleasanton FFA participated in the fall CDE contest held at Peeler Ranch this past Wednesday. Welcome to Pleasanton High School! We are excited to meet new Eagles and help them transition to our school. Campus procedures, grading guidelines and other useful information for students and parents. 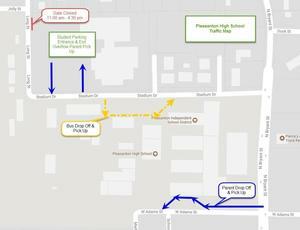 Click to access a larger view of the high school traffic map. Please review the student dress code before shopping for the new school year. There are two important changes to our bell schedule this year: 1.) 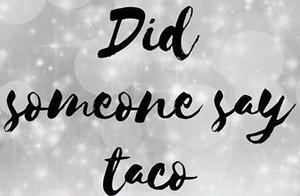 breakfast will be served in the cafeteria each morning before school beginning at 7:20 a.m. and 2.) we will have a built in intervention/enrichment time twice a week on Tuesday and Thursday to support student learning during the school day.